With Jurassic World finally crushing box office records beneath its apex-predator feet, I figured I’d let you in on a fact about me: I love dinosaurs, I love science fiction, and I really love a book that uses a combination of the two. Dinosaurs are awesome because they’re the things that science fiction dreams are made of. Just think about it: enormous bird-reptiles stomping all over the earth, getting into Kaiju-level brawls and snacking on each other while volcanoes explode in the background? Sounds like the kind of thing I’d love to…watch on television. Considering this, it’s only natural that there are so many books that feature dinosaurs as major characters or pieces of the plot. Some of the best books in this category (Dino-lit?) focus on the dinosaurs alone, and some use science fiction twists to arrange a meeting between the thunder lizards and our puny meatsacks. Here are a few books featuring dinosaurs that make my sci-fi dreams come true. 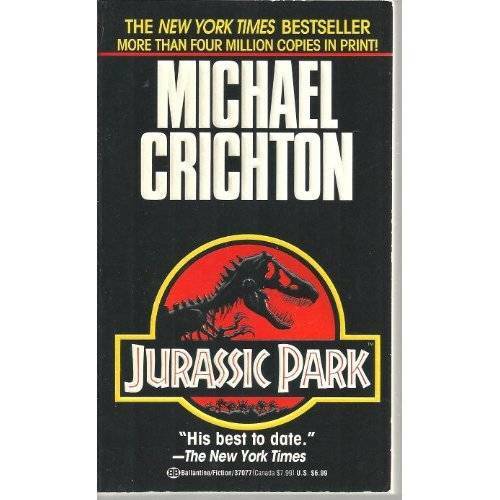 Plenty of people have probably gone back to watch the original film in preparation for Jurassic World, but how many have gone back to the novel? While the film does a great job as a dino-horror movie, the novel gives us a great deal of monsters alongside a hefty dose of “Should we be playing God here?” philosophy. Jurassic Park chomps down on some big ideas–dependence on technology, the ethics of genetic tampering, and chaos theory–and doesn’t let go of them. Be warned, though, there are some significant differences between the book and the novel, and some of them will be difficult to swallow for those who are fans of glistening-chested chaos theorists. No, not the one where Ian Malcolm’s daughter dropkicks a velociraptor. In Arthur Conan Doyle’s The Lost World, an eccentric Professor Challenger seeks to prove that dinosaurs still exist in South America. Because his academic community laughs him out of town when he tries to tell them this, he puts together a crack team of specialists to journey to Venezuela and prove his claims. While there, the team finds themselves embroiled in an inter-species war, encounters various types of dinosaurs, and eventually become millionaires. Challenger even smuggled back a prehistoric reptile or two, which is the ultimate “in your face” move. 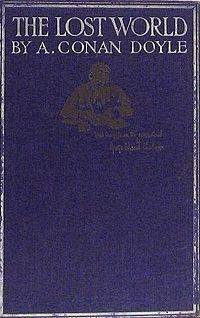 Ray Bradbury’s 1983 collection of short stories features one of my favorite short stories of all time (“A Sound of Thunder”), as well as “The Fog Horn,” a beautiful tale of love and loss that was even referenced in an episode of Pokémon. It has illustrations by the incomparable French illustrator Moebius, and an introduction by stop-motion animation pioneer Ray Harryhausen. 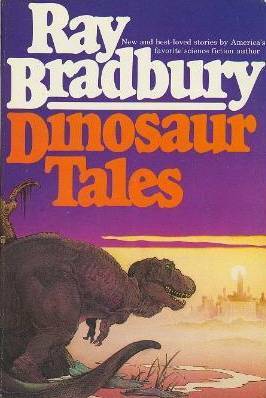 Dinosaur Tales puts Bradbury’s well documented love of dinosaurs on full display, but also delves into the ways that thinking about and loving dinosaurs could possibly affect humans…you know, besides us being eaten by them. 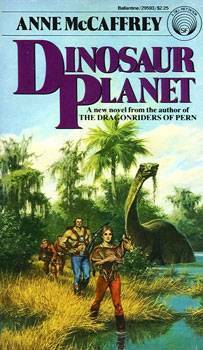 Anne McCaffrey of Dragonriders of Pern fame wrote this novel about dinosaurs in space, colonization, and piracy in the late seventies. In Dinosaur Planet, a team of space pirates journey to a planet called Ireta in search of treasure, and instead they encounter dinosaurs. And the dinosaurs aren’t even the most dangerous thing on the planet! Unfortunately, this series only went on for a little while before McCaffrey turned her attentions to the only avian reptiles more awesome than dinosaurs: Dragons. Robert T. Bakker’s Raptor Red isn’t exactly science fiction. It’s more like a dinosaur memoir that puts you in the shoes of a Utahraptor, the dinosaurs that Jurassic Park’s velociraptors were based on. 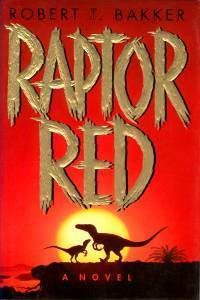 Red, the titular raptor, takes the reader along with her as she goes on hunts, builds a pack, falls in love, and experiences devastating losses. There’s even a few scenes that examine raptor philosophy. We also get some frickin’ sweet dinosaur hunting scenes where we learn how raptor killing claws work, up close and personal. I want to hear about some of your dino-lit! Sound off with your faves, especially if your faves are from authors more diverse than the group I’ve assembled here.